PCLinuxOS, again. I did a review not so long ago, but now I need to do another one, the reason being the summer edition of 2011 is out. Why does it matter, you ask? Well, for the first time, PCLinuxOS comes with a 64-bit version. That's a revolution right there. Let's take a look at PCLinuxOS releases in the past two years, as seen and tested on Dedoimedo. 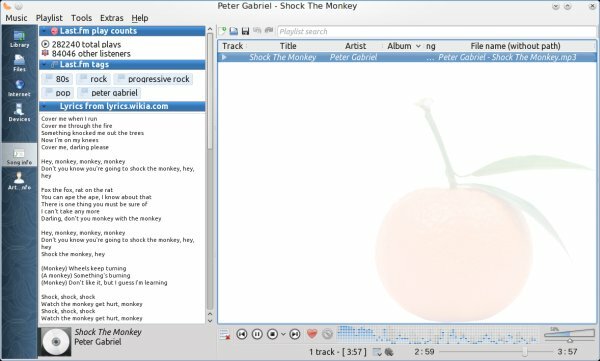 Version 2009, with Gnome, superb. 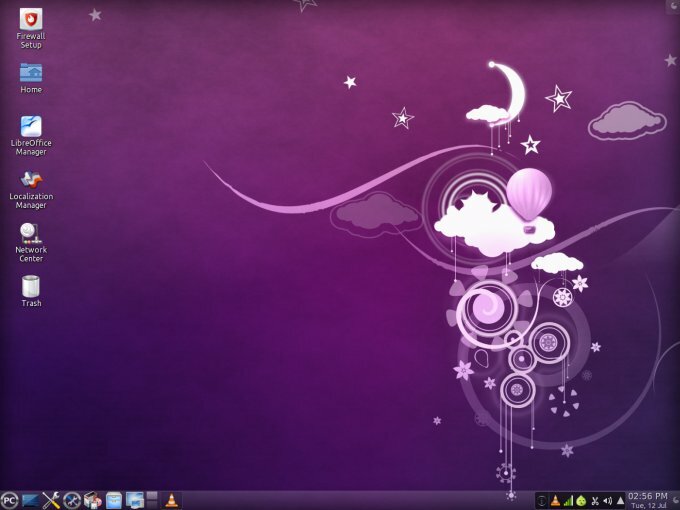 Version 2010 spring, with KDE, superb no less, probably the best release so far. Version 2010 autumn, Gnome, tested just a few weeks back, well not quite as good. So what do you think will happen when I take the latest KDE edition for a spin? Me is intrigued. My test box is the same one I used for the last fifty molestations, an elderly yet sturdy and quite capable 32-bit T60p, with 2GB RAM and an ATI card that offers decent if not exciting performance most of the time. So no 64-bit test yet, but you can do that, after reading this review. PCLinuxOS booted just fine, so forget ancient woes with T42 I had once, long time ago. You only answer a single question before you login, and that's the keyboard type. However, the resolution was set to 1024x768px, which is a surprise. I've never seen a Linux distro set an inadequate, non-native resolution before, especially since all other instances of PCLinuxOS worked just fine. After hitting the Control Center, things sorted out fine. This is strange, because the distro did detect the right graphics card type. 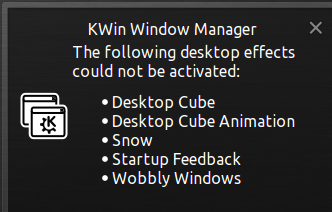 The desktop effects were disabled by default, which is something I've seen in Mepis too, recently. But more about that later. Now, another jarring item was the fact PCLinuxOS told me I must reboot for the change to take effect. But why? Just logging out and into the session was enough. It's Xorg, we're talking about. Jean Baptiste Emanuel Xorg. 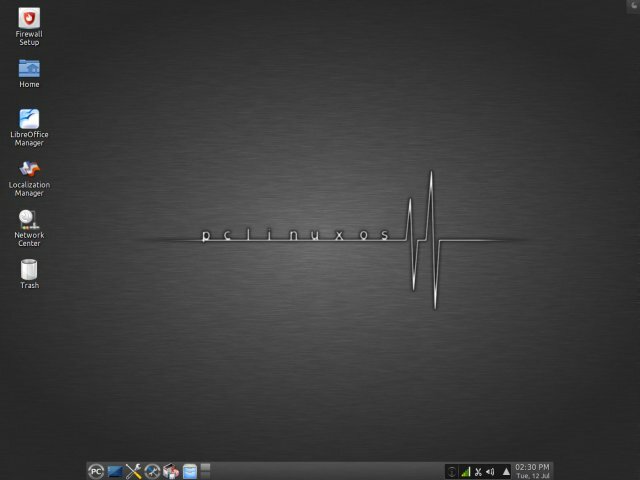 The theme is reasonable, leaning toward gray and black, so this drives consistency with the Gnome version, although PCLinuxOS KDE always felt fresher in paler colors. The Wireless setup was a tad clunky, as it opens a separate window for the configuration. Bluetooth was disabled by default. Always a strong side and remains so in this release, too. 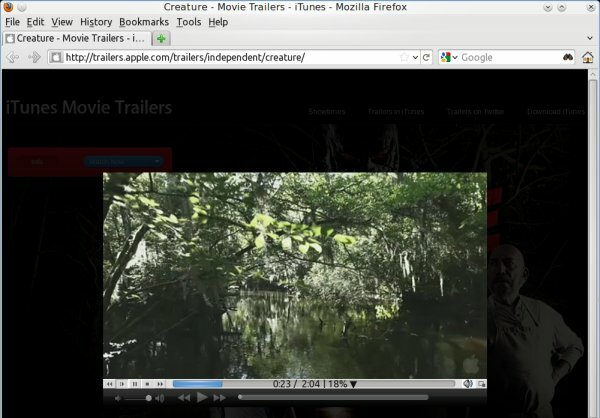 Apple Trailers alongside Youtube movies, back to back with proper Peter Gabriel music, including lyrics displayed in Clementine. 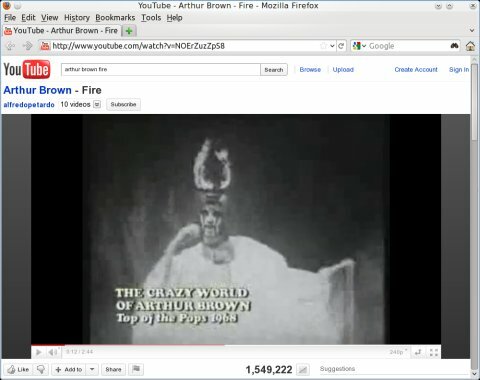 I must say I'm warming up to this little media player. But not all is perfect. 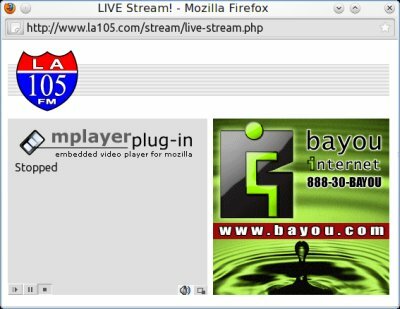 Microsoft Media Server (MMS) streaming did not work, though. I had controls and everything, but when I hit the play button, nothing would happen, the playback would automatically stop. I really don't know what the source of the problem is. Tried enabling them, to no avail. I hit almost the same problem like MEPIS, which is weird, as I had no such problems on Kubuntu, openSUSE and a range of other modern KDE desktops. Worse yet, the desktop effects could not be enabled, at all. But we'll check desktop effects after the installation, just in case. But things are not quite as smooth as I'd want them. The partitioner is not pretty, but it was sane and safe overall. Rather than choosing the existing two Ext4 partitions, it opted to shrink in size the Windows partition and use some free space. This is not bad overall, but I think openSUSE does it better. If you choose to manually setup your disk, you lose the colors and go into a pure white-gray menu, which can be a little bit confusing without any visual indicators as to what devices you're using. It's a little archaic and could benefit from a more modern work flow. Next, only the root partition is offered for formatting, which is a good thing. PCLinuxOS does not allow too much margin for error for newbies, which is quite commendable, but they will still struggle with the visual layout. Next, the installation begins, with no fancy slideshows. After that, there's the GRUB setup, and this is the one aspect that really disappointed me. PCLinuxOS did not chainload the existing Windows installation. Why? This is really not nice. I haven't something like this in a long while now. My first boot menu after the installation showed no Windows, confirming my fears. Then, I setup the timezone and root and user passwords. Next, a simple and pleasant login. The Wireless settings were preserved. The resolution was properly set. However, there was a new inconsistency. The bottom panel was shrunk and centered rather than spread across the entire length of the screen. I have made no changes, so I really don't know why this happened. I tried again and failed. 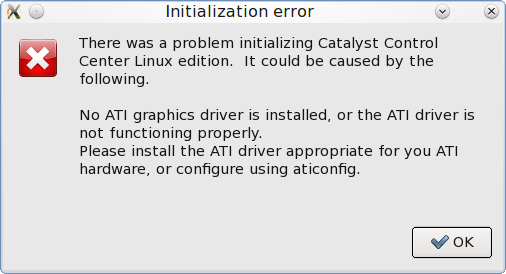 I also launched the ATI Catalyst Center and was told that no driver was loaded, which explains it. But why does PCLinuxOS list the driver in the Control Center then? And I must repeat, no worries with many other spring-release distros. PCLinuxOS 2011.6 packs a useful bunch, with just a CD size worth of data. You get a load of good programs, like Firefox 5, Thunderbird, digiKam, GwenView, Clementine, VLC, GIMP, Pidgin, and some more. The one victim is LibreOffice, which is not installed. The balance is somewhat disrupted by a handful of less obvious choices, which could have been removed or trimmed down to possibly allow space for an office suite. You get an HP printing configuration tool, which is more visible in the menus than the standard printing, so this could confuse people. KMyMoney is good but unnecessary. And midnight commander? You also have the cleanup utility called BleachBit. Again, unnecessary. Konqueror is there too, rather unneeded. If anything, the newer rekonq is probably a better idea. 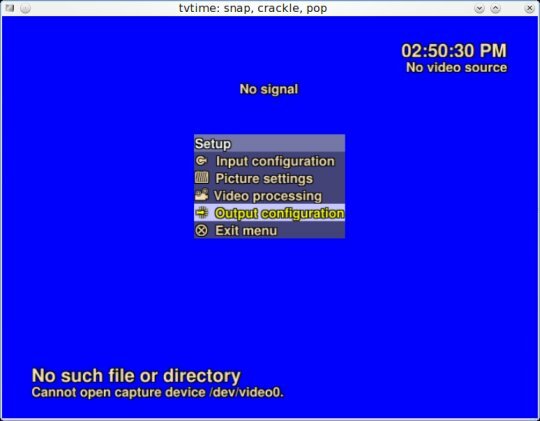 You also get a TV streaming tool, but not sure how useful it really is, as I did not have an opportunity to test it. One thing that PCLinuxOS does really well is that it offers a very easy selection of additional languages. Just hit the Localization Manager and you're all settled. Finally, a word about the look and feel of the distro. 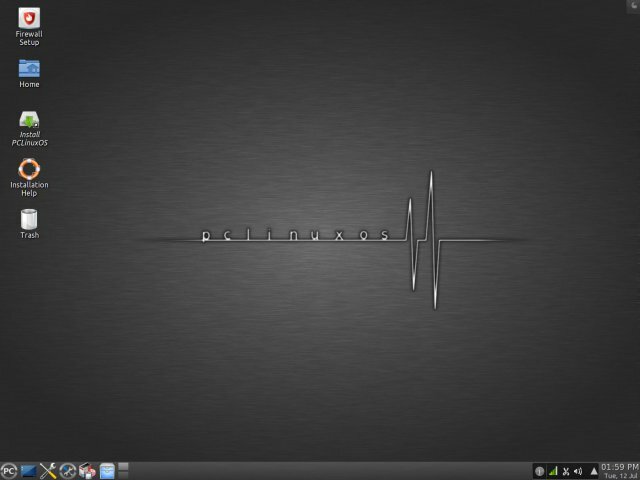 PCLinuxOS 2011.6 is a very decent looking distro. With only a minimal change, you can quickly boost its default looks. The fonts are large and appealing. The system was stable, with no KDE related crashes, so we have another winner. Pardus is no longer the sole champion, and with MEPIS around, it's become crowded. 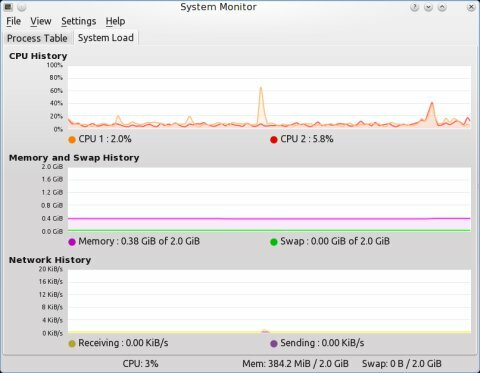 The memory usage is reasonable for a KDE4 desktop, although with desktop effects disabled. Suspend and resume worked just fine. In addition to all those listed, I encountered some more. One is the fact there's no proper update manager. You get the old and true Synaptic, but it does not separate its software management and update functions. However, when it worked, it worked true, and there were no repository issues like with the 2010.12 edition. No way to disable it or at least disable mouse clicks while typing - the most annoying thing since pediculosis pubis. This should be a must, as people don't want to command line their laptops into submission. Another weird item was the utmsmon error. First, I'm not really sure I know what this thing is. Second, it complained about a critical error no less. Third, it used an inconsistent color scheme that clashes with the pure white decoration. What this thing does, beats me. PCLinuxOS 2011.6 has its ups and downs. Overall, it worked well. Good looking, easy language management, a balanced arsenal of programs, solid multimedia support. 64-bit support is probably the most important milestone. On the dark side of the moon, you get flaky 3D and desktop effects and a less intuitive installation procedure. Not having a dual-boot system setup was also quite bad. If I had to change anything, I would remove some 5-10 less popular, less known applications, bundle in an office suite, get a modern frontend for the package manager and work on the dozens of tiny bugs and glitches that spoil the overall effect. I still claim that 2010 spring edition is the best release in the last year or so. 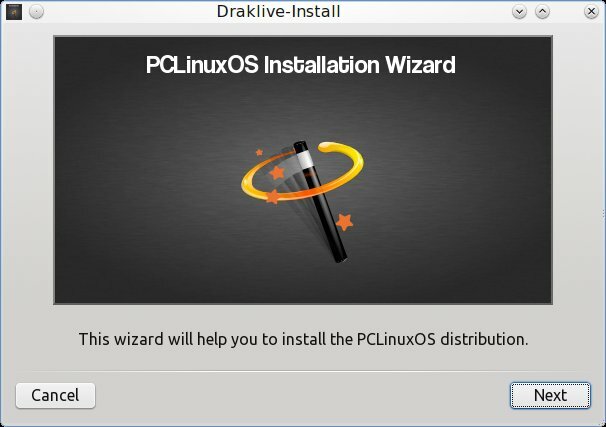 Because PCLinuxOS is a rolling distro, so you can upgrade without reinstalling and losing what worked best for you. Now, looking at version 2011.6, I really want it to succeed, but there's something missing. My grade would be 7/10 or so, but there's a lot more work to be done to get PCLinuxOS to fight with the big names in the distro league. Well, I sure will keep on testing.